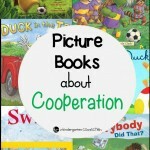 Kindergarten Planet and I loved sharing our favorite books for a variety of topics! 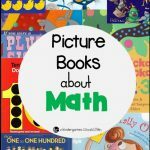 Here our favorite books about the end of the school year I am sure your students will love it too! 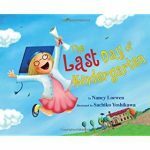 The Last Day of Kindergarten by Nancy Lowen- A fun book with vibrant pictures and mixed emotions. 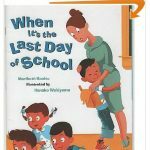 The character is sad to leave kindergarten, as she compares their first day with their last day, but she realizes that 1st grade may be fun too. Last Day, Hooray! 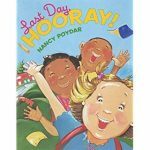 by Nancy Poydar – Celebrate the final days of school with these students as they engage in activities such as taking down pictures, signing cards for each other, and cleaning up their room! This one is a great one for if it is time to do those things in your classroom as well! 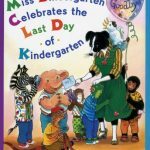 Miss Bindergarten Celebrates the Last Day of Kindergarten by Joseph Slate – Who doesn’t love Miss Bindergarten? Miss Bindergarten’s students have had a great year filled with fun memories, and now it is time to say goodbye. 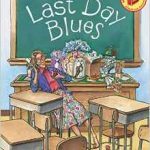 This is a great read aloud for the last days of school as you say goodbye to your own students. 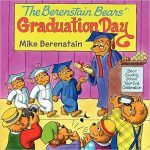 The Berenstain Bears’ Graduation Day by Mike Berenstain – I always love how Berenstain books have great lessons in them as well as great stories. Sometimes they can get lengthy, but my kids love them! Bear Country is holding a graduation ceremony for the last day of school, and brother and sister will get to wear a cap and gown! Will Honey Bear get to graduate too? This is a good read aloud, especially if you teach where you celebrate with a cap and gown graduation. 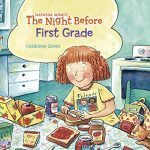 The Night Before First Grade by Natasha Wing – The Night Before series is one of my favorites! If you teach Kindergarten, this is a must read as you send your students off to be 1st graders! This book is about Penny and her adventures as she gets ready for a big day – the first day of 1st grade! 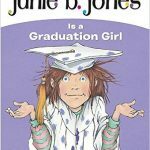 Junie B. Jones Is a Graduation Girl by Barbara Park – This is a great read aloud to start in the last month of school or so, especially if you are just trying out chapter books with your youngsters! Junie B. Jones is always hilarious, and in this book, it is time for her Kindergarten graduation! She is supposed to keep her cap and gown in the box, but it is so tempting to take it out… and what happens when she does? I love that we have a couple of books that are the same, but that I also learned about some new stories from you. I also love the Night Before series!